Jose Mourinho's ultimately ill-fated tenure as Manchester United manager will likely be remembered more for his grumblings about transfers and under-performing players than the silverware. Mourinho was sacked on Tuesday, two days after a dire display in a 3-1 defeat to bitter rivals Liverpool, leaving the Reds 19 points ahead of United in the Premier League table. A common theme of Mourinho's time at Old Trafford was his incessant demands for greater backing in the transfer market, despite spending a small fortune. 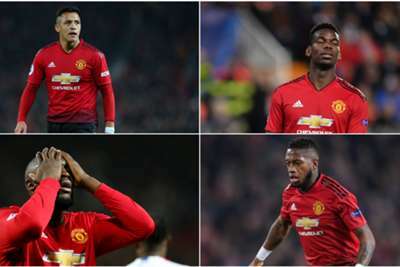 Sections of the media suggested United grew frustrated with Mourinho not getting the best out of players he identified, which meant alternative options were sought after. We would like to wish @HenrikhMkh the best of luck for the future after completing his move to Arsenal.